Angelique Boyer stars in "Tres Veces Ana," the new primetime Univision telenovela. Find out what the story of this new soap is all about here! Carlos Ponce and Maritza Rodriguez return to telenovelas in the new Telemundo production called "Silvana Sin Lana." Check out the synopsis here! Victoria Ruffo returns to telenovelas alongside Cesar Evora in a new Televisa production, "Las Amazonas." Univision's primetime telenovela will be ending this week and this is how you may watch the finale online. 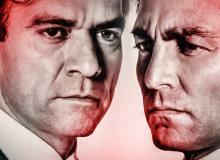 Did Mario Bautista Snub Fernando Colunga? Watch Here! 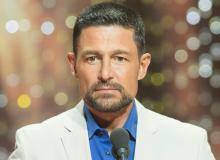 Fernando Colunga appears to have been snubbed by Mario Bautista at Premios TVyNovelas 2016. Watch moment here! Telemundo has announced the production of the sequel to "Sin Senos No Hay Paraíso." Univision confirms a 3-hour finale celebration that will compete with Premios Billboard on Telemundo. 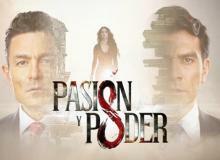 Angelique Boyer returns to telenovelas with a telenovela remake of "Lazos De Amor." See side by side comparisons with the new "Tres Veces Ana" soap. A new telenovela called "Las Amazonas" is premiering soon and we have the brand new teaser for you to watch. See the best and worst of Premios TVyNovelas 2016 summarized in 35 tweets. Viewers are not happy that Univision cut performances and winners from Premios TVyNovelas 2016. Read people's reactions here! 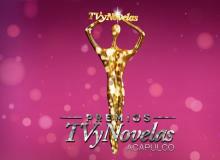 Univision aired Premios TVyNovelas 2016, but they cut many awards and performances. Find out what the Spanish-language network didn't want you to see here! Celebrate the life of Marjorie De Sousa with these fun tidbits you might not know about the actress. The Venezuelan-born actress was a presenter during Premios TVyNovelas 2016, and she wore many outfits throughout the night. See all of the looks here!